I used to find it difficult to find art and craft projects, suitable for the Lenten season, for my elementary art classes. 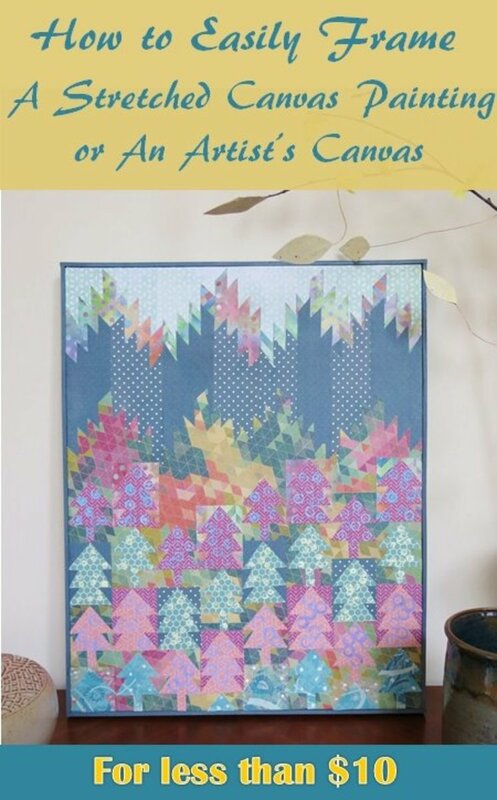 In this article I will share the site names of projects which I found in my search for Lenten arts and crafts. Only those projects that have directions are included. 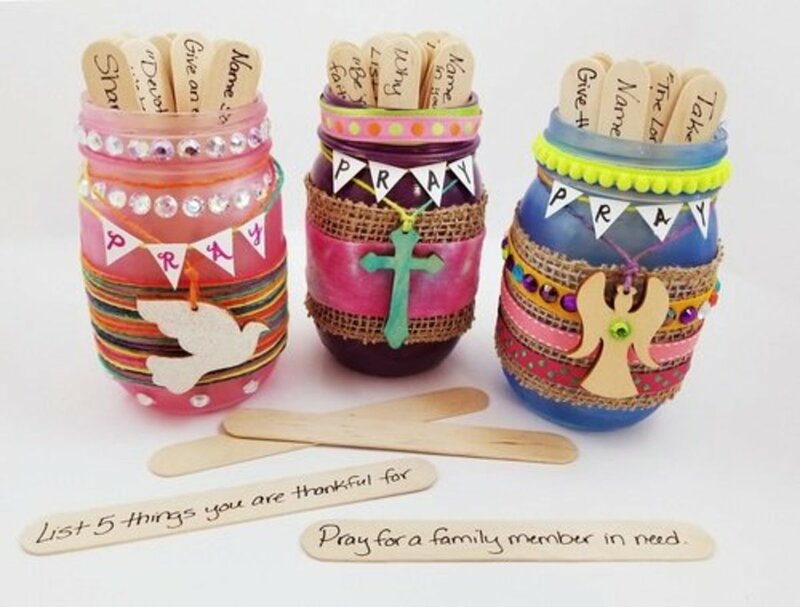 For the instructions for making the prayer jars project shown above, go to S&S Blog. I'm so impressed with this Lenten project. 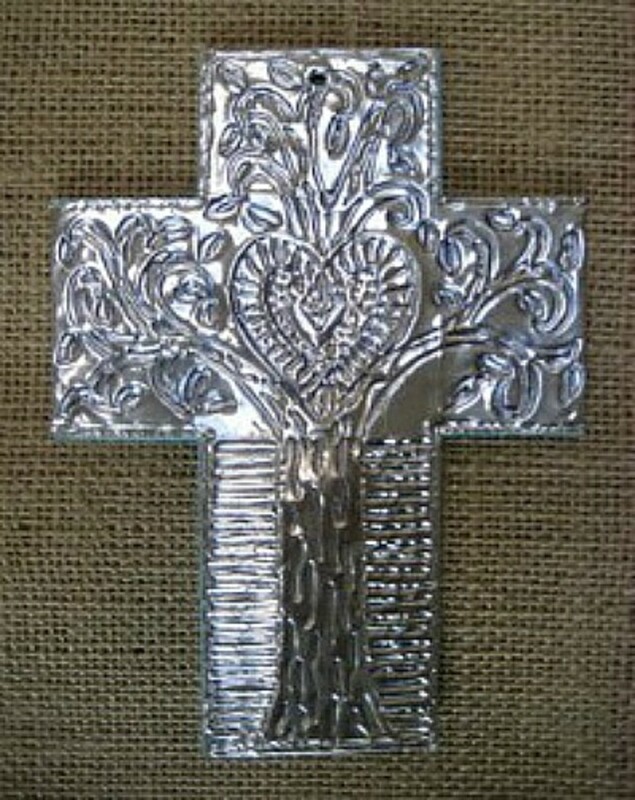 I think the kids will love making this cross, and it is beautiful enough to be framed. Find this outstanding art project at Campfires and Cleats. 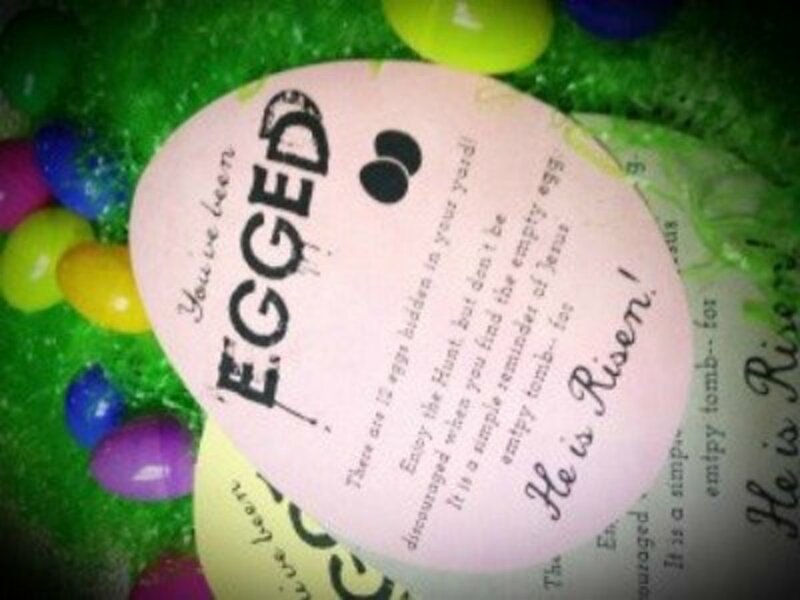 The tutorial for making these Resurrection eggs can be found at faithgateway. 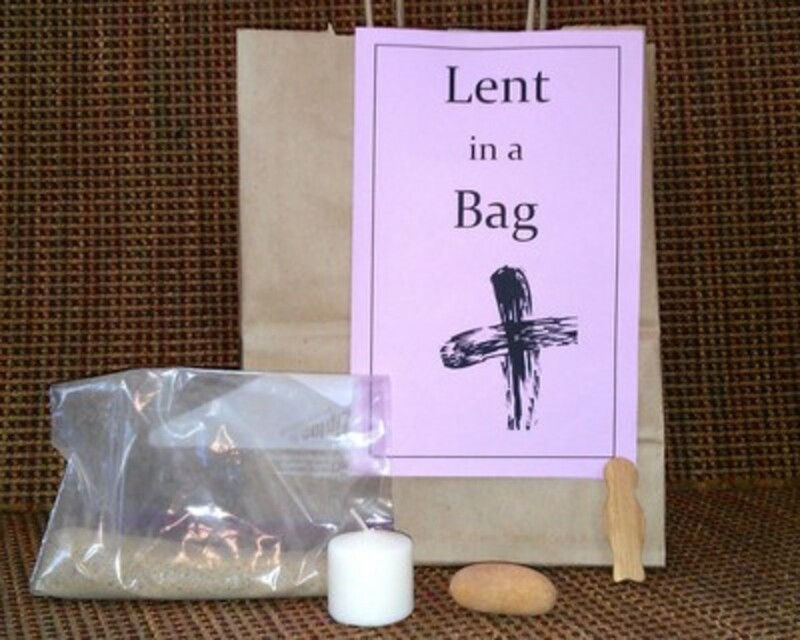 An outstanding Lenten idea for the family or as a school project. Be sure to check this out. 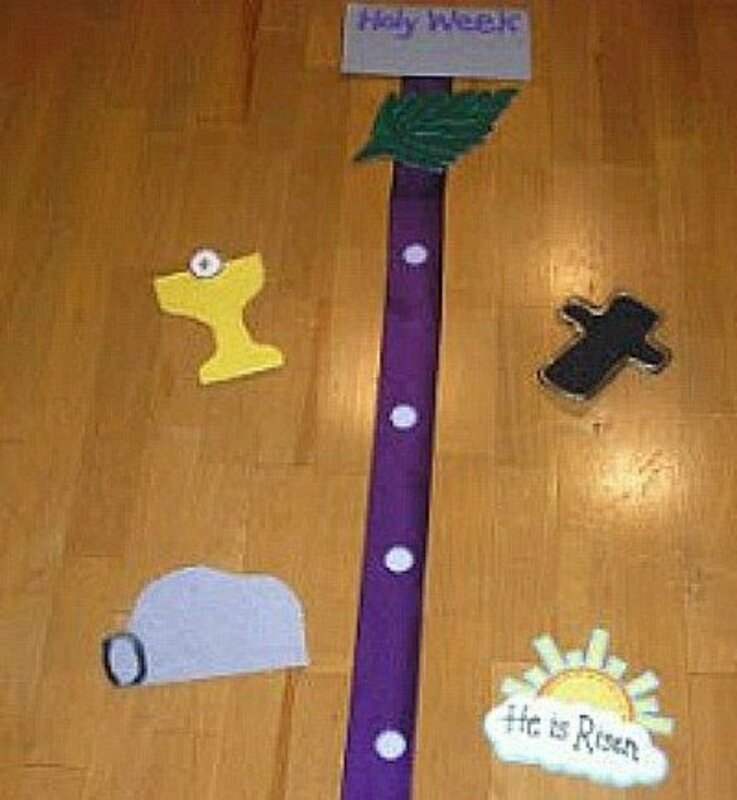 You'll appreciate the Scripture verses included in this Easter story wreath. Go to wee little miracles for the instructions and downloads. 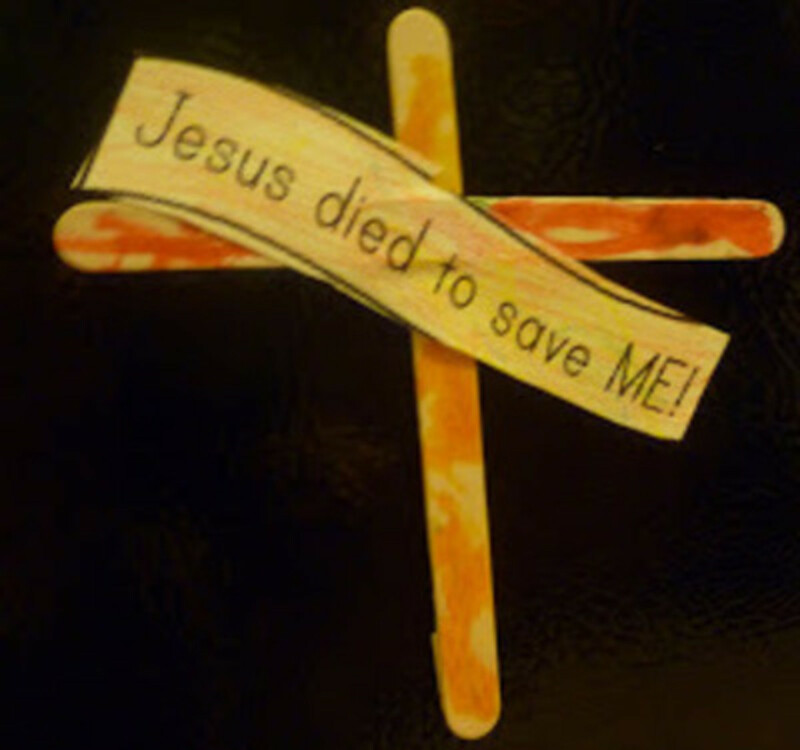 This is an incredible Lenten craft to help teach about the suffering of Jesus before His Crucifixion. Go to Catholic Inspired for the instructions and the printouts. Making, and then wearing, this Crown of Thorns bracelet through the Lenten season, will be a reminder of Jesus' love for us and the extreme length, dying on the cross, that He went through proving this love. 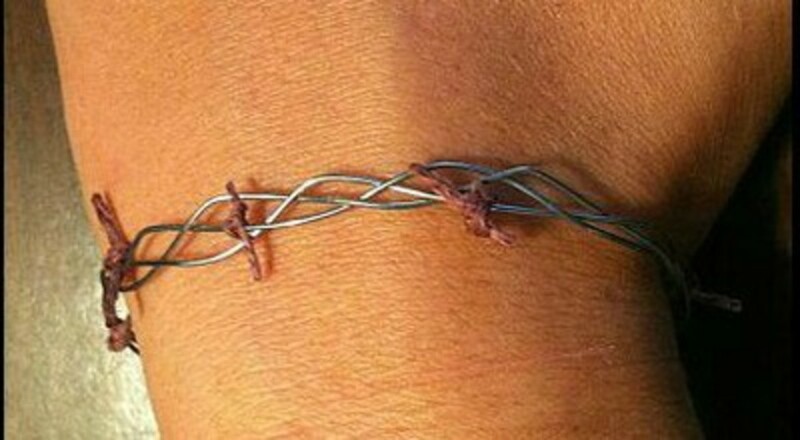 You'll find the tutorial for making this bracelet at lovetoknow crafts. You'll find the printable templates for making this outstanding prayer journal at the MOTHER’S niche site. 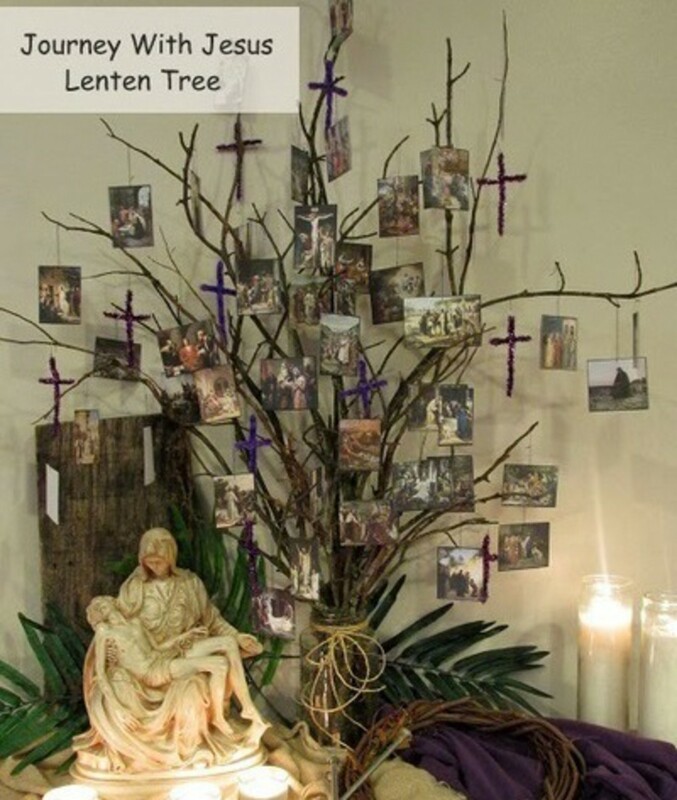 This is a great Lenten project to start at the very beginning of Lent and continuing until Holy Saturday. 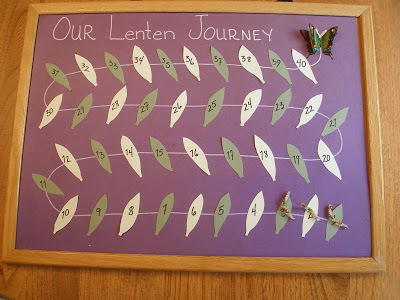 This is such a cute and appropriate Lenten project that can be done with even the littlest kids. 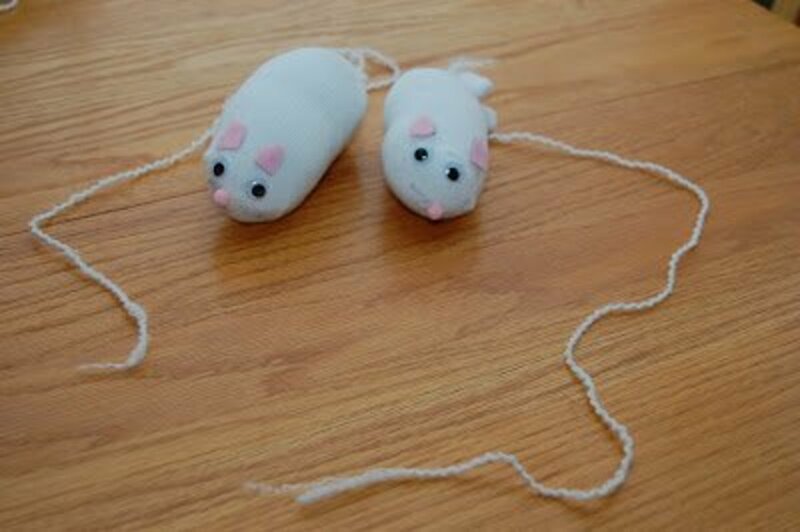 Each act of kindness causes a new knot to be tied in the mouse' tail. 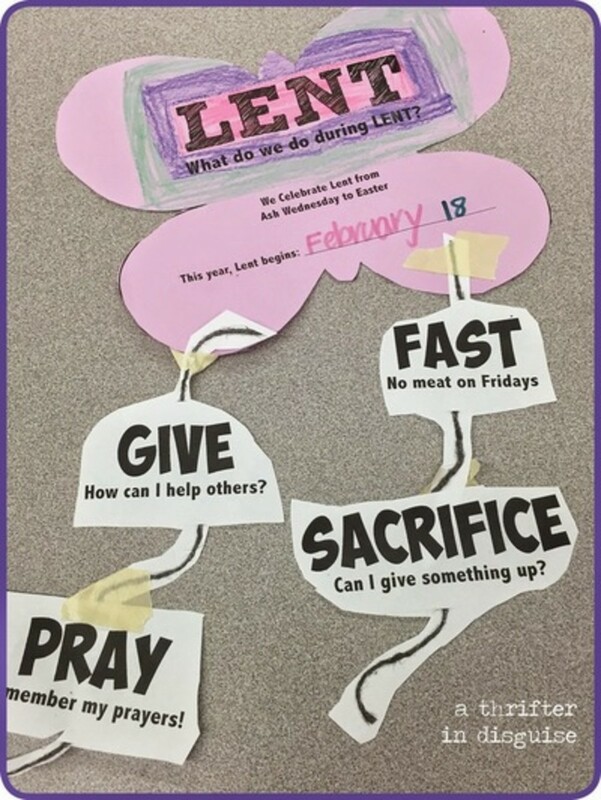 Find the instructions for this Lenten project at Kate Wicker. Usually we stress "giving up" something during the Lenten season, but I really like this "giving" something idea. 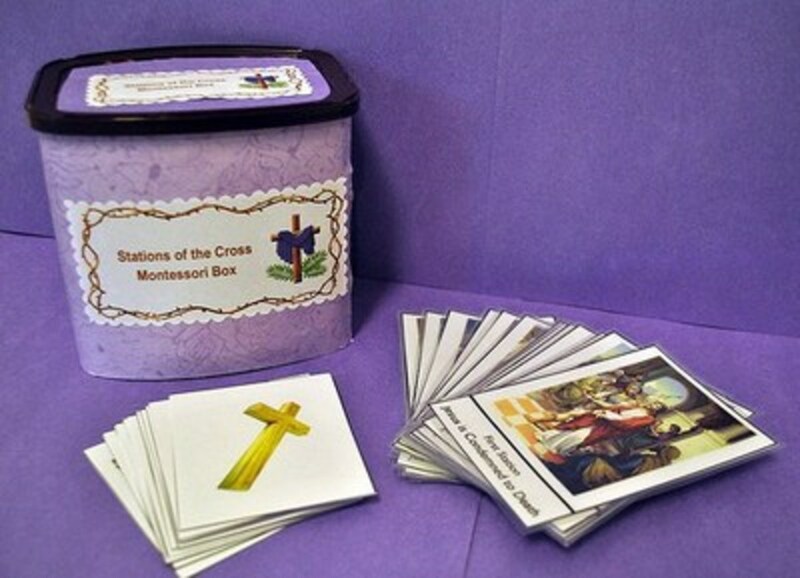 Make this Lenten season a real positive one, either in your home or in the classroom, by adding this outstanding project. You'll find all the information that you need, and the downloads, at mom envy. Make this for your classroom now, and experience the benefits of "doing for others." If you don't have a bucket, use a basket or decorate a box. 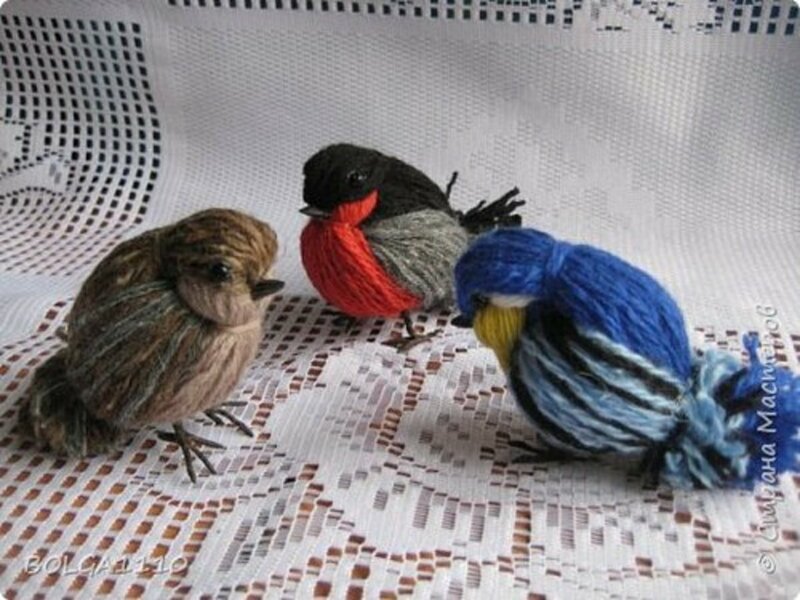 This is a beautiful family or classroom project. Directions and photo downloads can be found at Homeschool Goodies. The directions for this attractive bracelet can be found on the ARMA DEI site. This spinning paper plate spins to reveal the days of the Triduum until Easter. 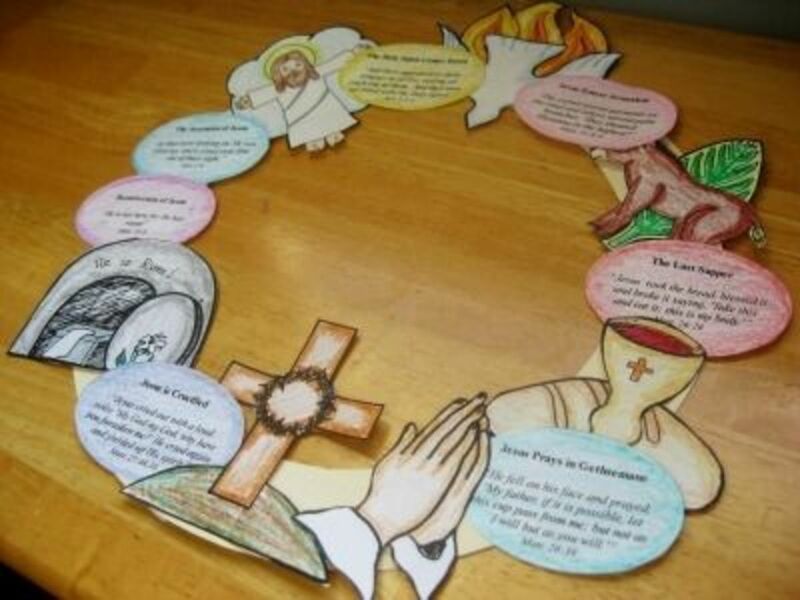 You'll find the directions for this spinning paper plate project at Catholic Inspired. A beautiful reminder of the fun you experienced at the shore. 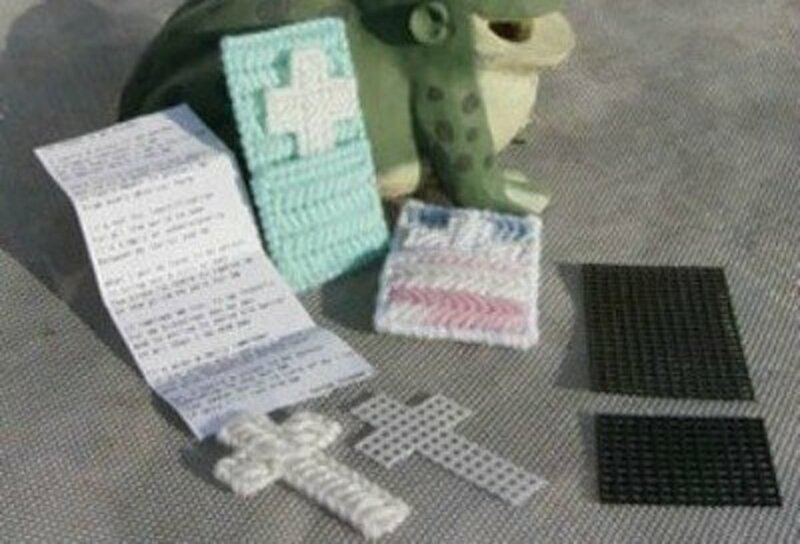 Find the instructions for this cross at Christian Games and Crafts. This site gives an address for buying the Stations pictures, but you could also use the photos from the place mat project shown on this page. For the instructions on making the carousel, go to EQUIPPING CATHOLIC FAMILIES. This is a project that is suitable for Lent, but also any other time of year. I love the prayer and think this would make a great gift for any one. Think about graduates of school or college, Confirmation, Communion, birthdays, or any season. The tutorial and prayer for this Cross in my pocket is found at thriftyfun. If you aren't into working with plastic canvas, consider making the cross another way, but including the prayer with the gift. 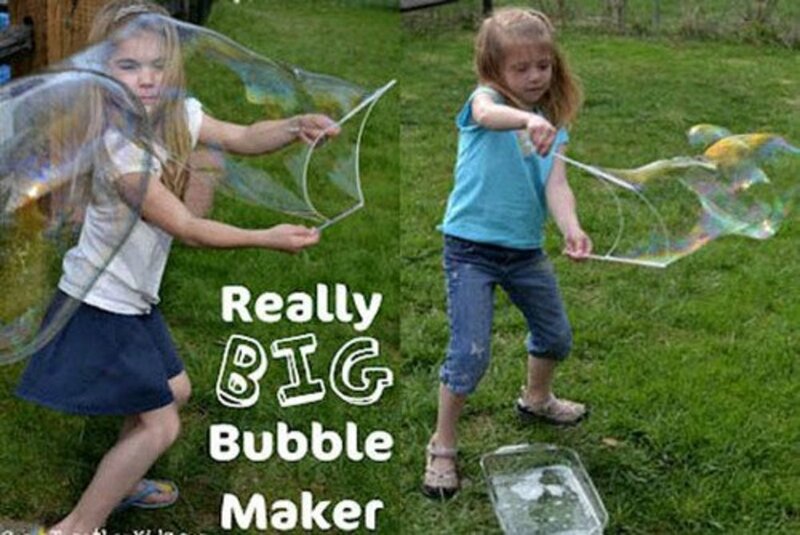 If you are making this as a classroom project, I'd suggest using this project with the older kids, 3rd grade and above. They will be able to do all the steps alone. Find the easy to follow tutorial at DLTK. This is a very nice project with a Lenten lesson to be learned. Go to Mom On TIMEOUT for all the specifics. 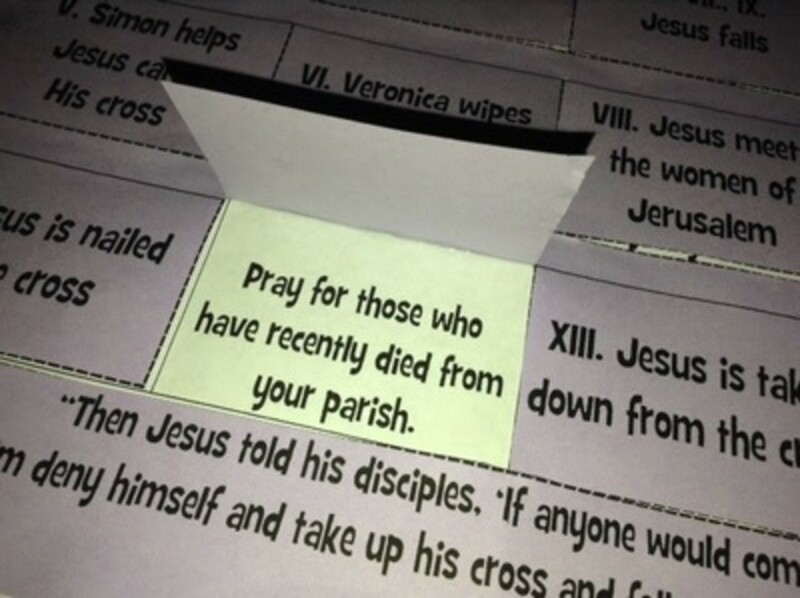 This is an outstanding Lenten project. Be sure to check out this site. Directions for this project are also found on this site, Pondered in My Heart. You'll find the directions for these shrines, by following the link in the first sentence on Inside My Domestic Church The finished shrines are shone on this page. A beautiful and inspiring way to teach the death and resurrection of Jesus. For the instructions for this project, go to HOUSE of JOYFUL NOISE. If you want to print this or any project onto black paper, use a green pen or marker to make your original copy---it will show up on the black paper. For the directions for this project, go to JACKETFLAP. You'll use an egg carton and downloaded images to make this project. Go to Catholic Icing for the instructions and downloads. 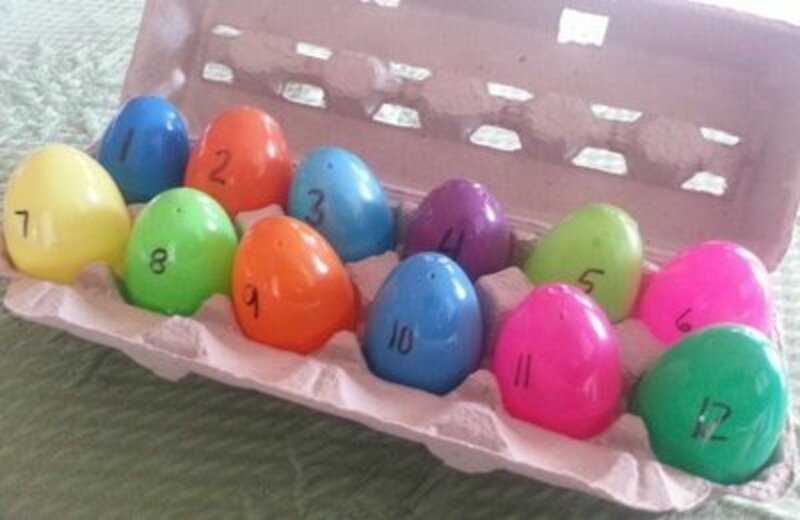 Some of the littlest kids will love making this countdown to Easter calendar. The directions can be found at wee little miracles. With a little help, even the littlest crafter can do this project. Go to Pondered in My Heart for the directions. 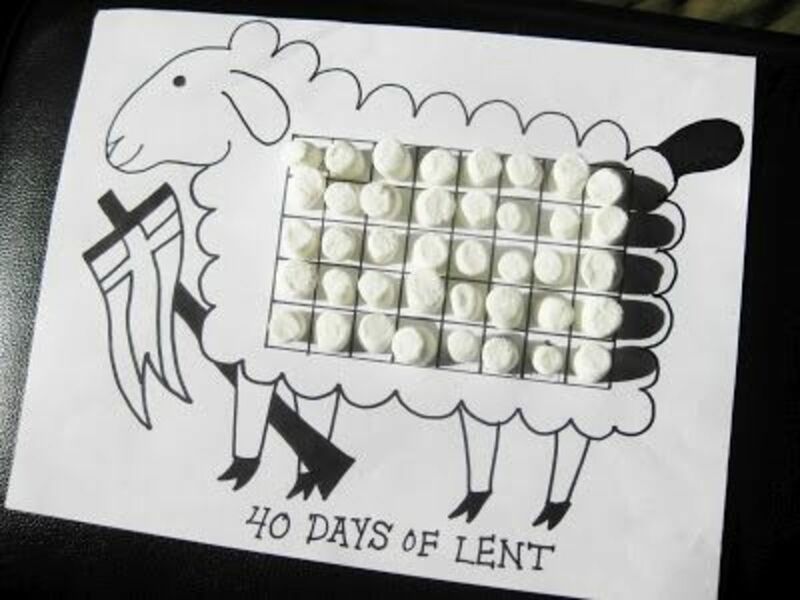 This is a great idea for the Lenten season. This calendar runs from Ash Wednesday through Easter. Find the printable Lenten Calendar at Catholic Icing. 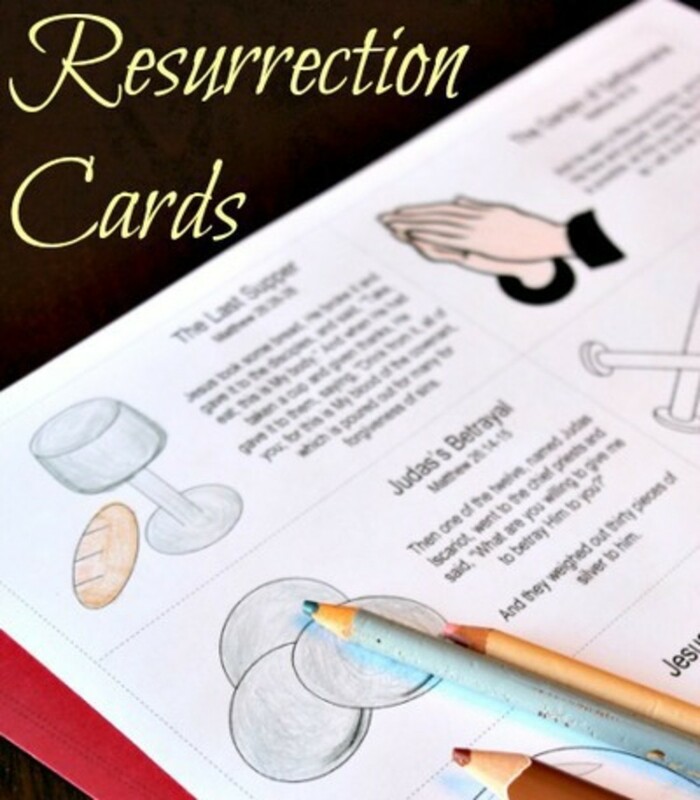 A great Lenten project for Church or home. Go to building faith for instructions and reflections. Forty days after Jesus died on the cross, He ascended into heaven. This 3-D project includes printables. 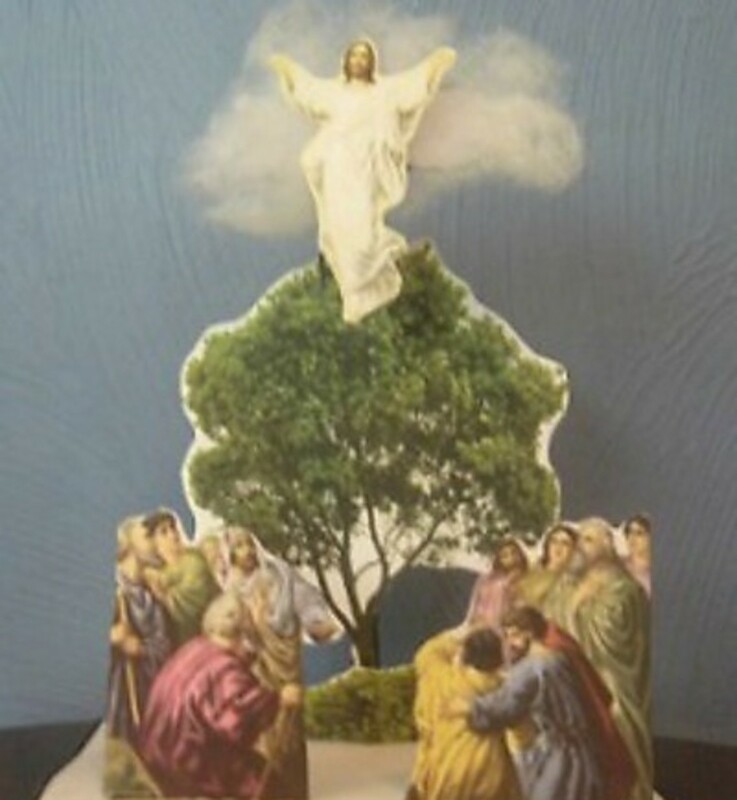 Go to Catholic Inspired for the instructions and printables. 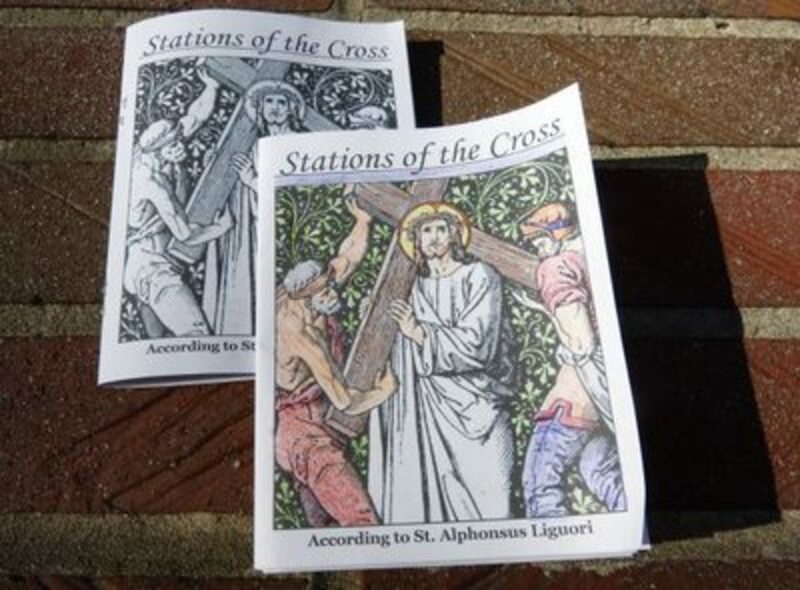 Print off these beautiful Stations of the Cross from the site at Family in Feast and Feria. Use prints of the stations to make placemats to use during the Lenten season. A great classroom project. This is such a great project for Holy Week. Be sure to check this tutorial at God Venture. 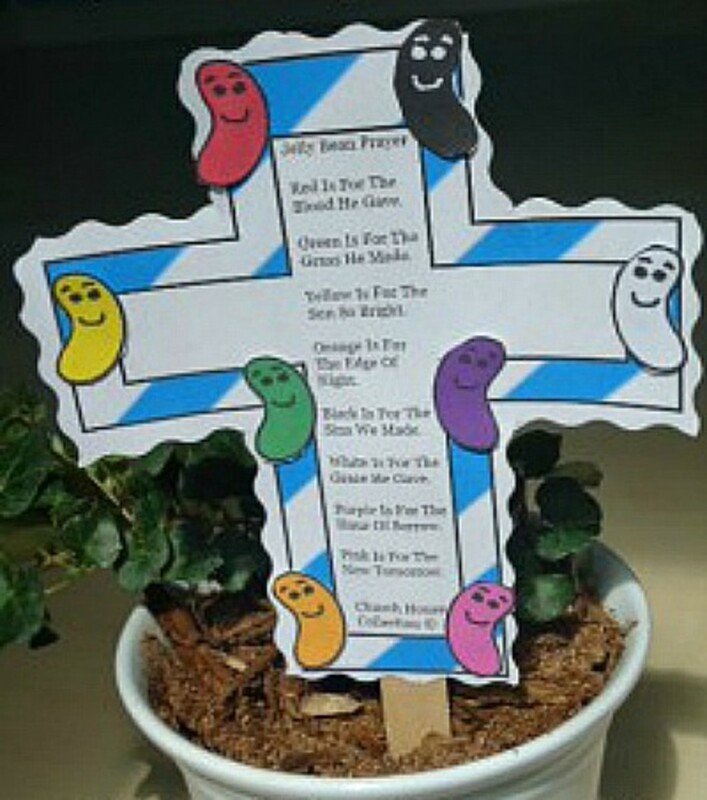 You can use this jelly bean prayer cross as a plant poke, or just make a piece of art with it, and hang it on the wall. You'll find the tutorial for making this Lenten cross at Church House Collection Blog. This is an outstanding classroom project. Find the directions at Catholic Family. Kids love count down calendars because it gives them a visual of how many days are left before the special date. 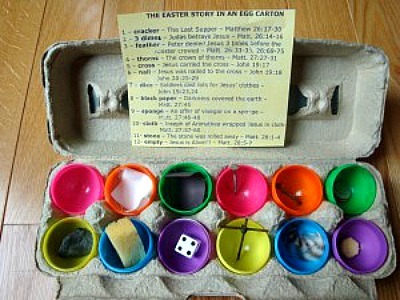 Help the kids understand the days til Easter with this calendar, with directions found on the These Forty Days site. You'll find the instructions for making a refrigerator magnet cross by going to Mama to 6 Blessings. 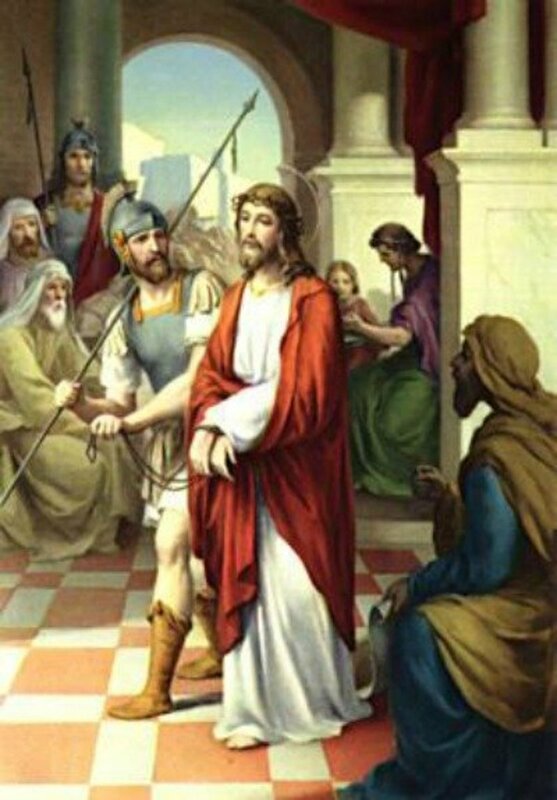 I love these Stations of the Cross gems and I just know there has to be a way to use them in a classroom setting. Maybe a board game, or can you think of something else? Go to The Diary of a Sower for the tutorial for making the gems. 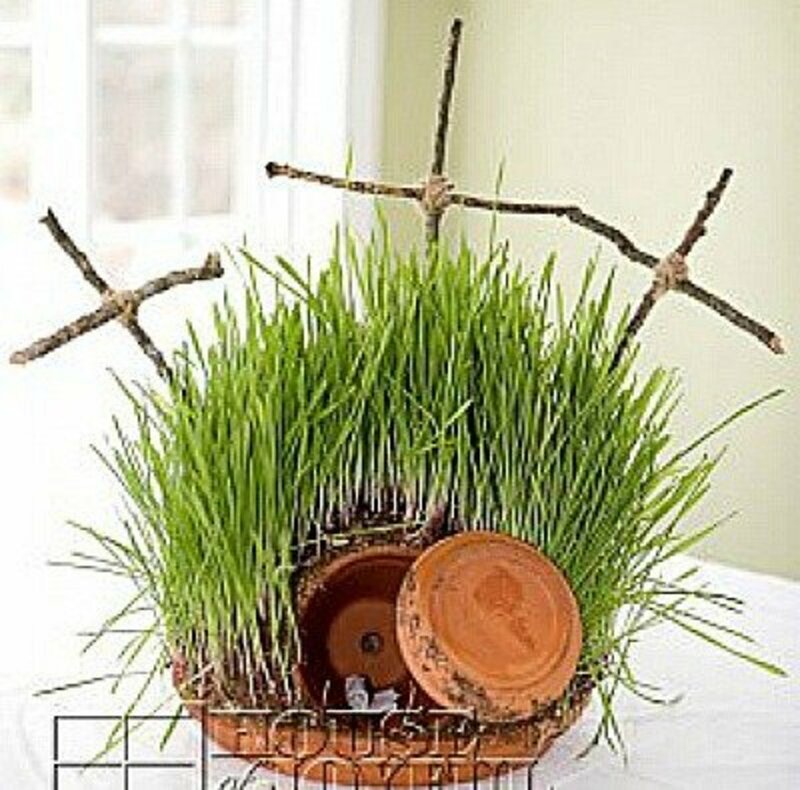 Start an Easter tradition in your family by making this Resurrection Eggs craft. All the information that you need to make this outstanding activity is found at MomFare. 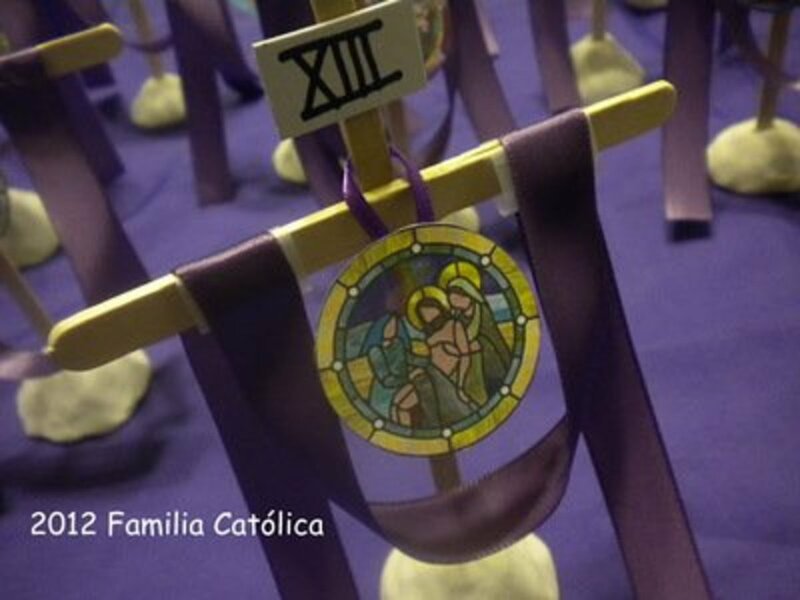 You can either hand draw the images you want to put on your Holy Week banner, or consider searching Google images for lenten clip art. 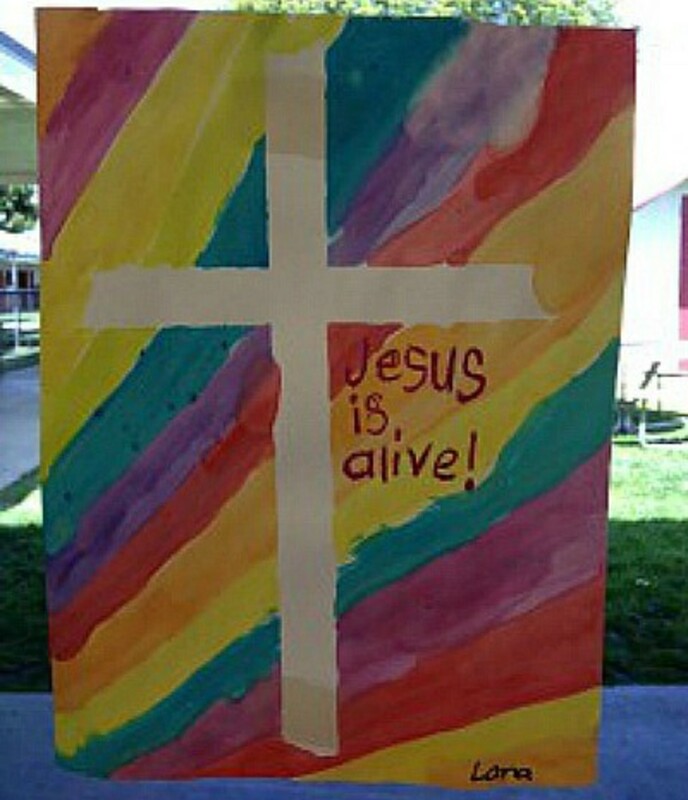 Making a banner with the kids will help make Holy Week special and meaningful. 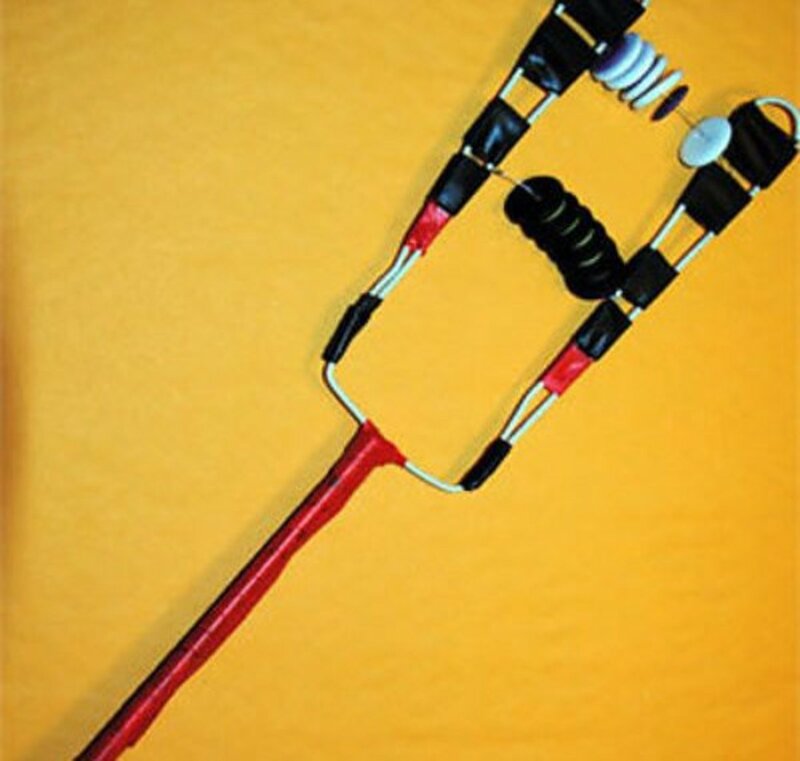 Find the instructions for this project at The Diary of a Sower. 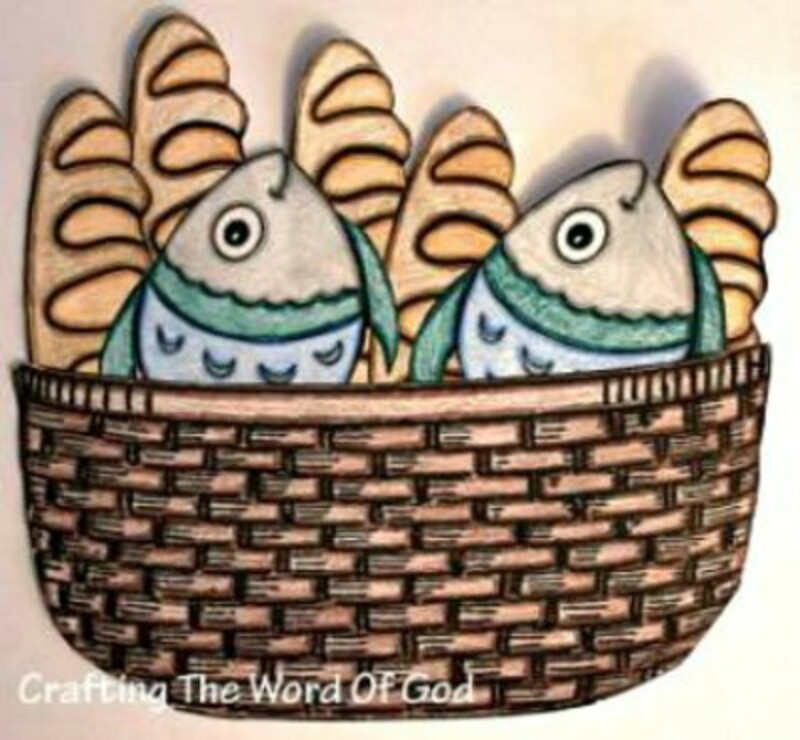 After reading the bible story of Jesus feeding the crowd of 5000, the kids will understand the meaning of this fishes and loaves art project. 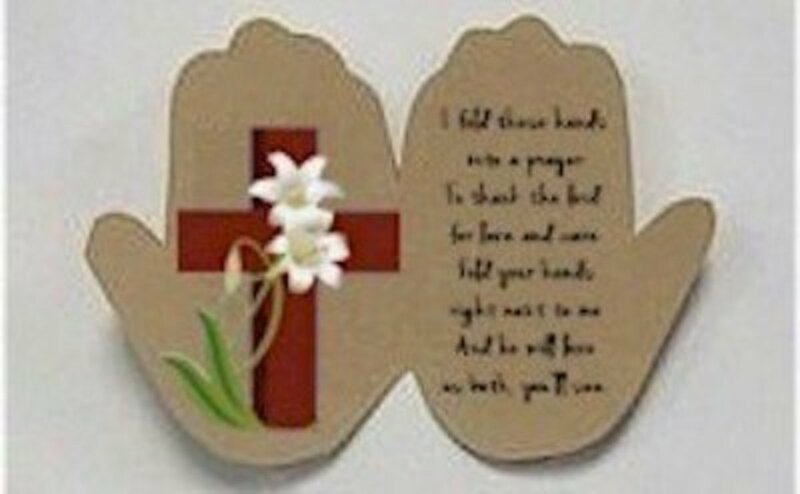 Go to Crafting The Word Of God for the instructions and templates for this great Lenten project. 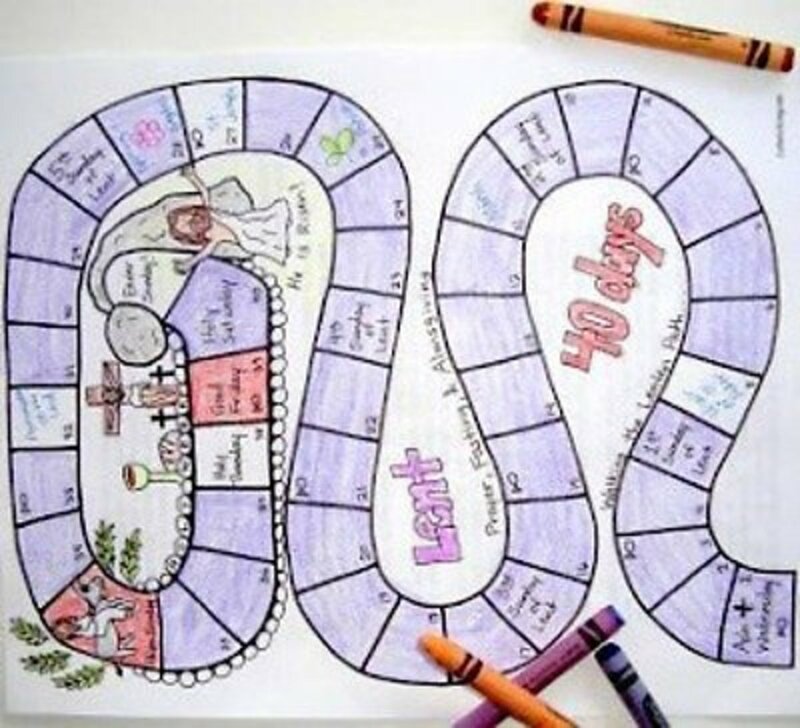 A great message included in this game, the you'll find directions and printables for at FAB N’ FREE Be sure to check this out, especially if you like to include your neighbors in Easter activities. This appears to be an art project that the kids will really enjoy. And I love the finished look of this Easter cross project. You'll find the instructions for making this art project at apples and abc’s. 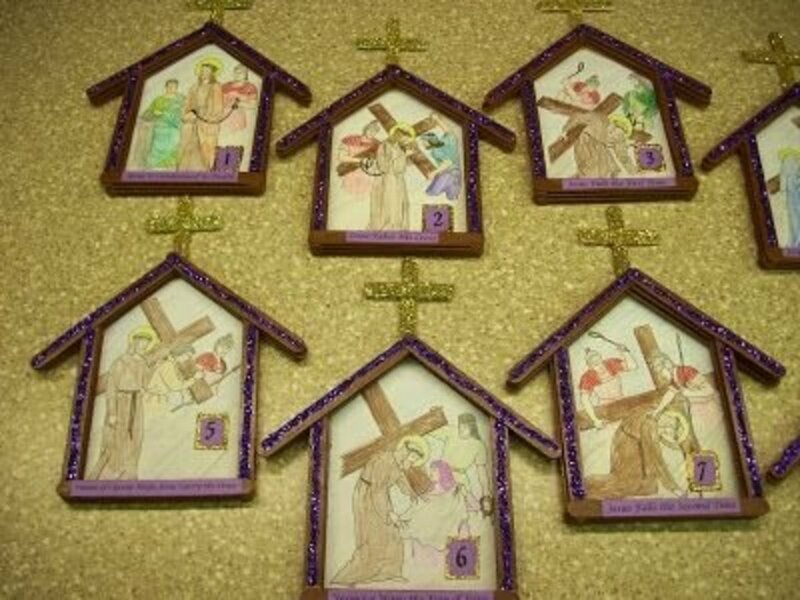 Be sure to check the site for other examples of the finished crosses. Very impressive. Colored printable templates are included with the instructions for making this Easter mobile. 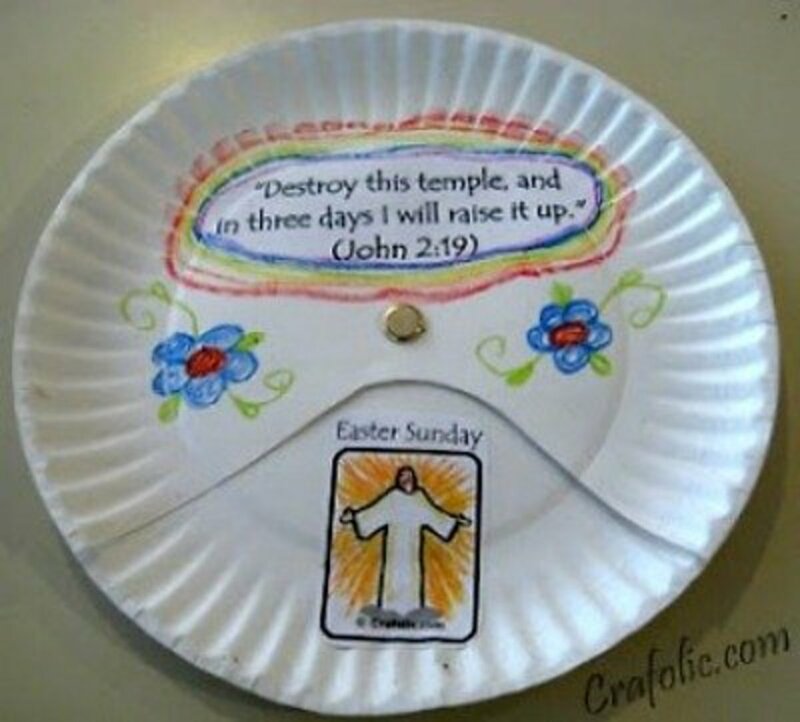 The instructions and printable templates are found at Church House Crafts. 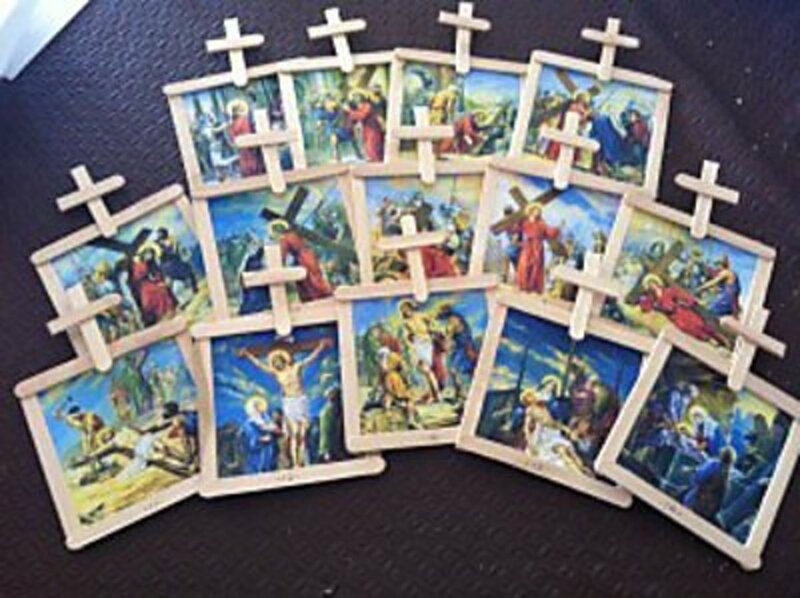 Be sure to make a sample Resurrection cross before class so you are comfortable with where to cut and where to fold the printable sheet. 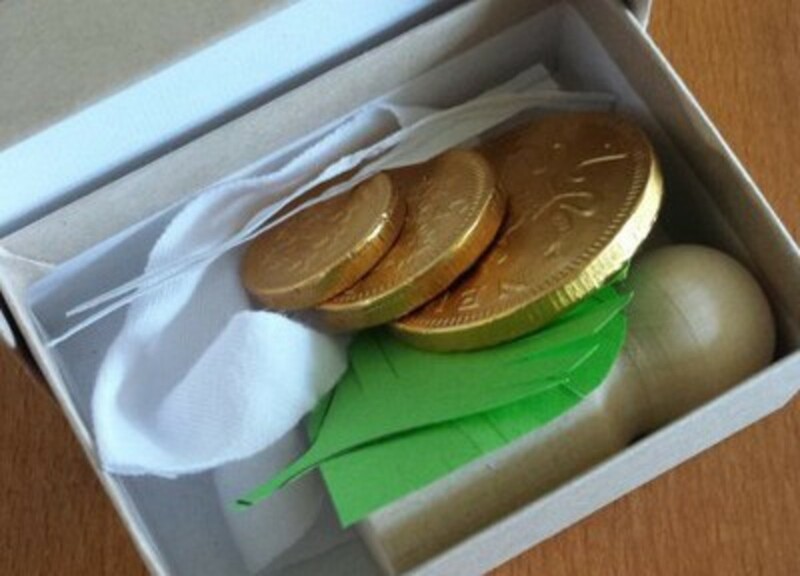 This great classroom project and it's tutorial is found at AMY’S FREE IDEAS. Like the Jesse tree of Advent, this project features a bare tree. Pictures of the Stations of the Cross and bible readings complete this project. Find the tutorial at Catholic Inspired. You can use the images from the "The Way of the Cross Circle" project at the top of this article. 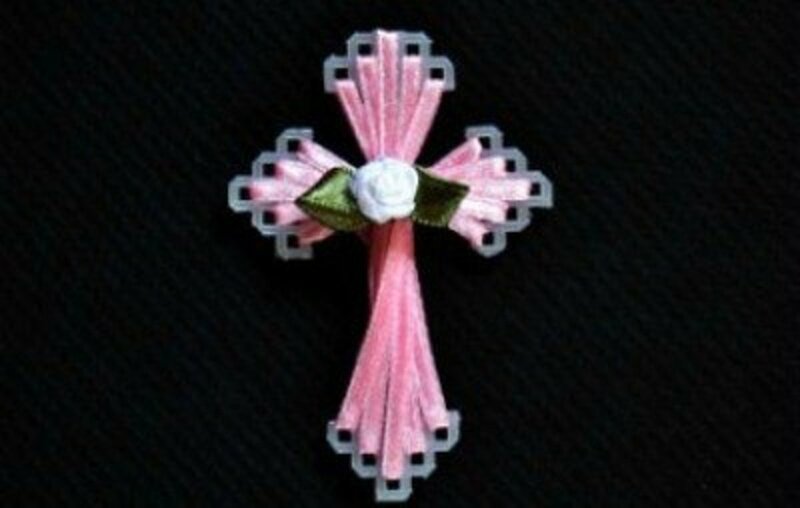 This beautiful Easter cross is made using plastic canvas. There are a number of suggestions on ways to use the cross also. 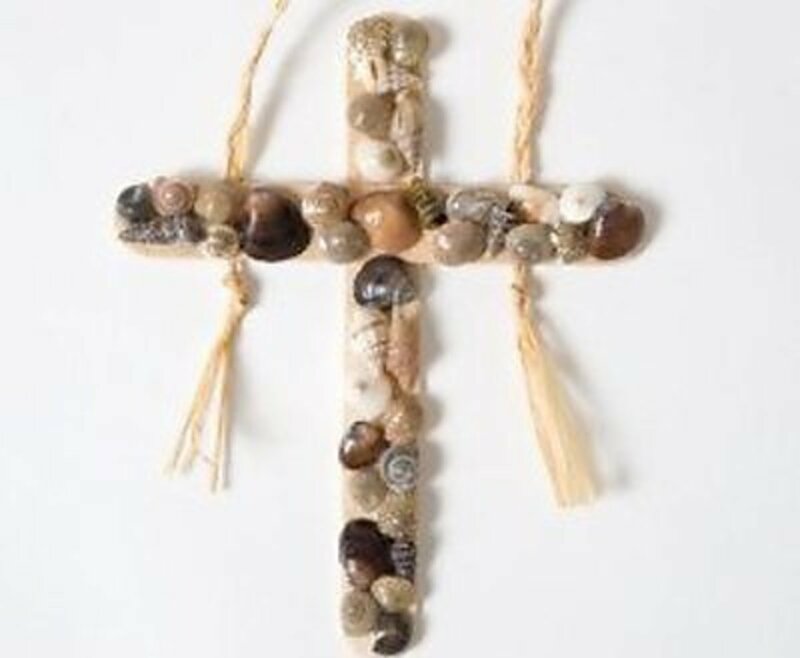 You'll find the instructions for making this Easter cross at CRAFTS-FOR-ALL-SEASONS. During this time, the rooster becomes a symbol of Peter denying any knowledge of Jesus. 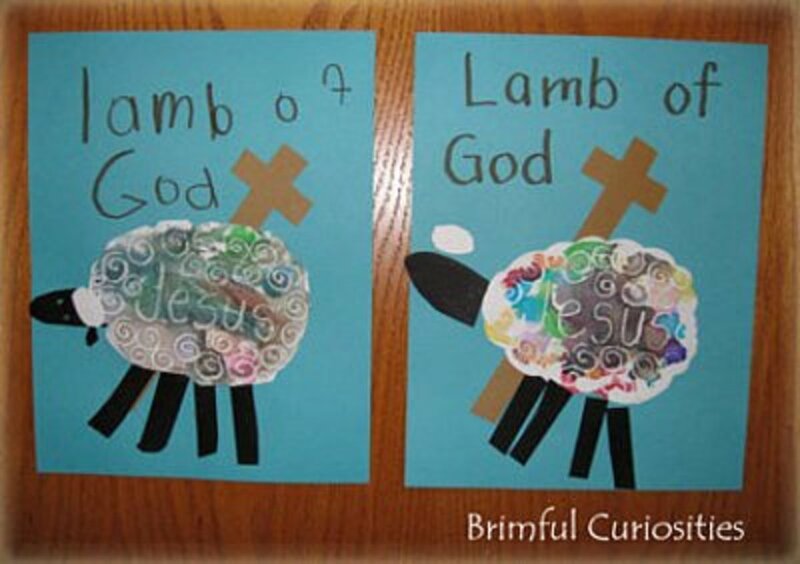 After reviewing this bible story, the kids will understand this Lenten art project. 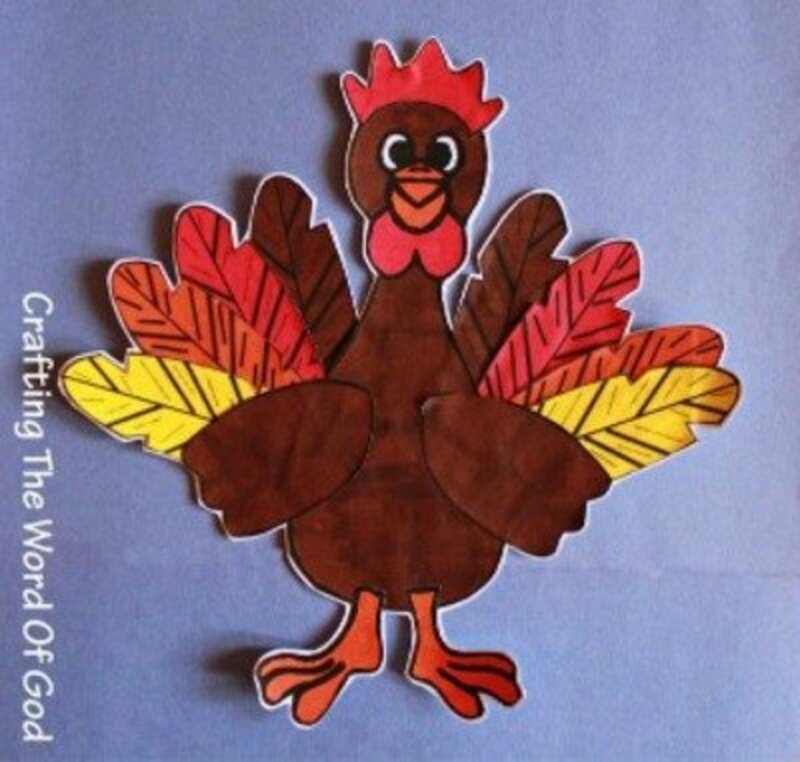 Go to Crafting The Word Of God for the instructions and rooster template. 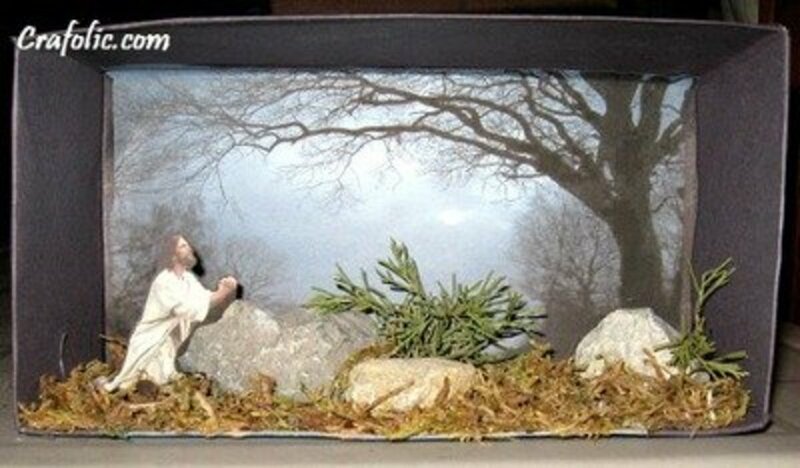 This site also includes other Lenten projects. 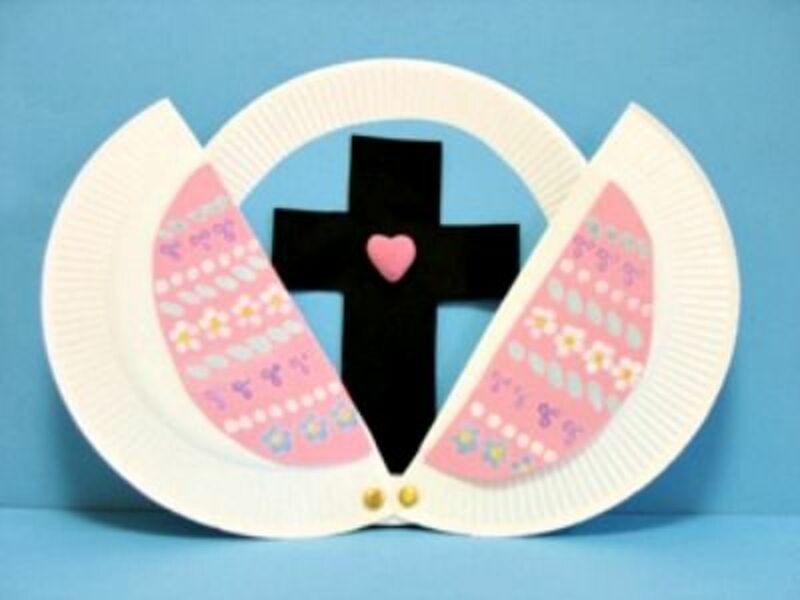 You'll want to check the other Lenten and Easter projects, included with this paper plate craft, on the AMY'S FREE IDEAS. This project uses foil tape, which I have to admit that I'm not familiar with. That alone is a good reason to make this art, it's always nice to find new methods. 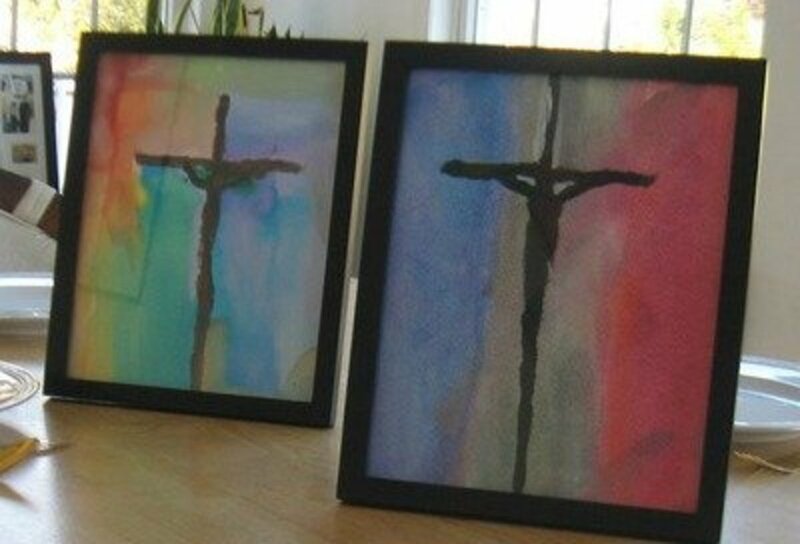 Go to teach kids ART to find out what supplies are needed and the instructions for making this cross. Guide the children about who and what to pray for by giving them a copy of this coloring page by Look to Him and be Radiant. This is teaching without preaching. Kids love to learn about God, and this is a perfect way to encourage them to pray. You'll find the printables for this Lenten project at Look to Him & Be Radiant . This project uses the Stations of the Cross to suggest acts of kindness. There is a page with suggested acts and a blank one to write your own activities on. 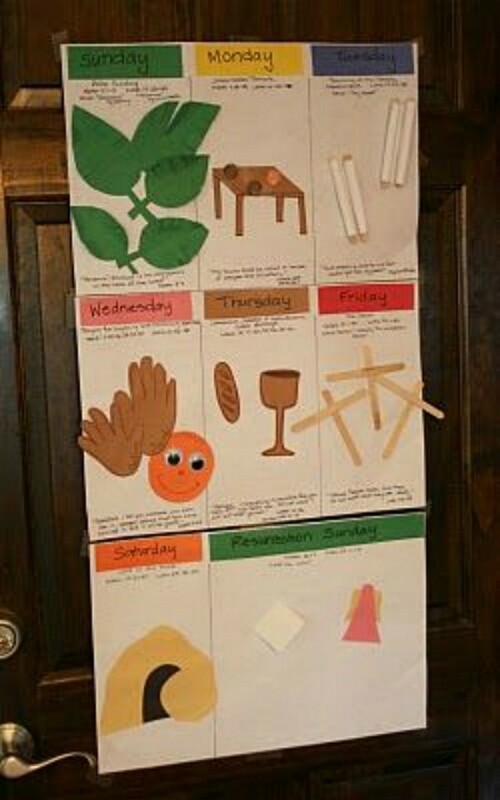 This Holy Week poster is a great idea for either the classroom or the home. Make Holy Week really meaningful by following the instructions at the domestic NOTEBOOK, to make the poster and find the suggested readings and activities. 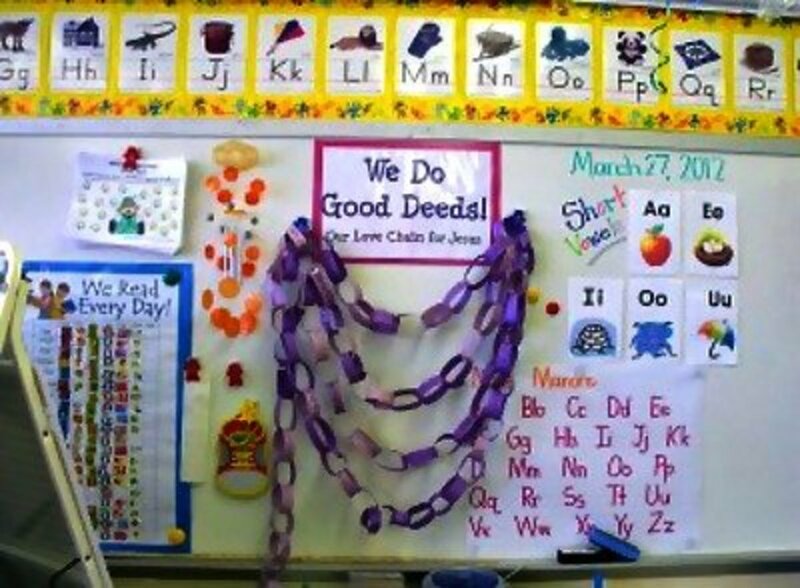 The good deeds chain emphasizes doing good for others rather than giving up something. This is an especially good way to teach children compassion and caring for others. You can find the information for this project at KINDER CRAZE. Printables and game suggestions are included in this tutorial by True Aim. Read the Resurrection story before playing the games. Consider this as an Easter activity in lieu of an Easter egg hunt. Give candy or small toys as game gifts. 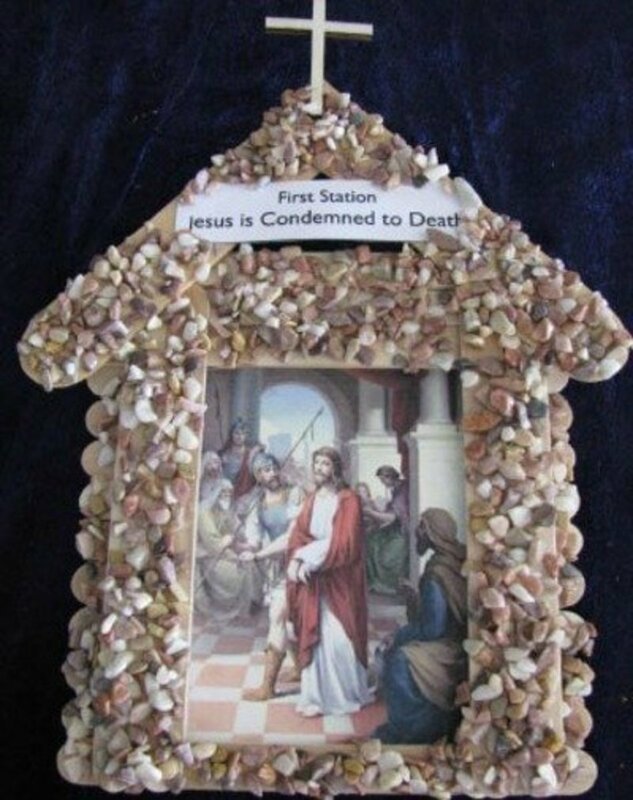 Check out this outstanding Stations of the Cross project at Young Catholic Mums. 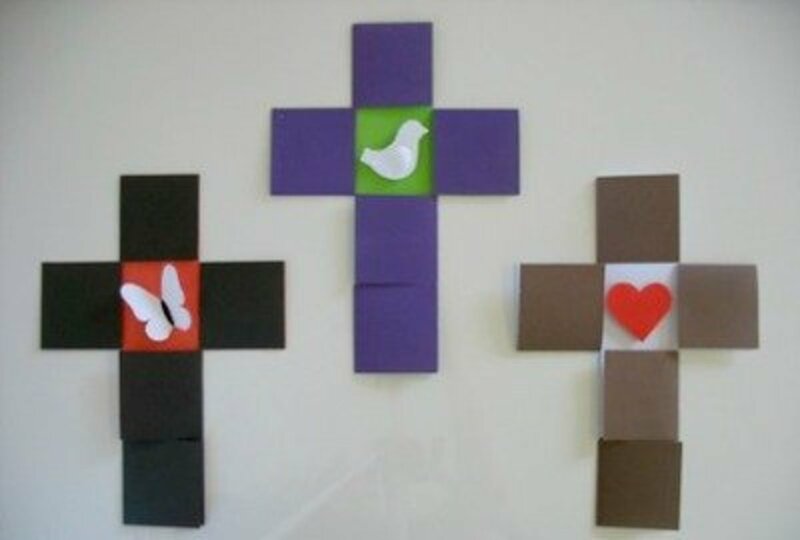 A great Lenten project for elementary kids. Be sure to read through the article to see the improvements and printables available for this project. Go to Three Sided Wheel for the tutorial. 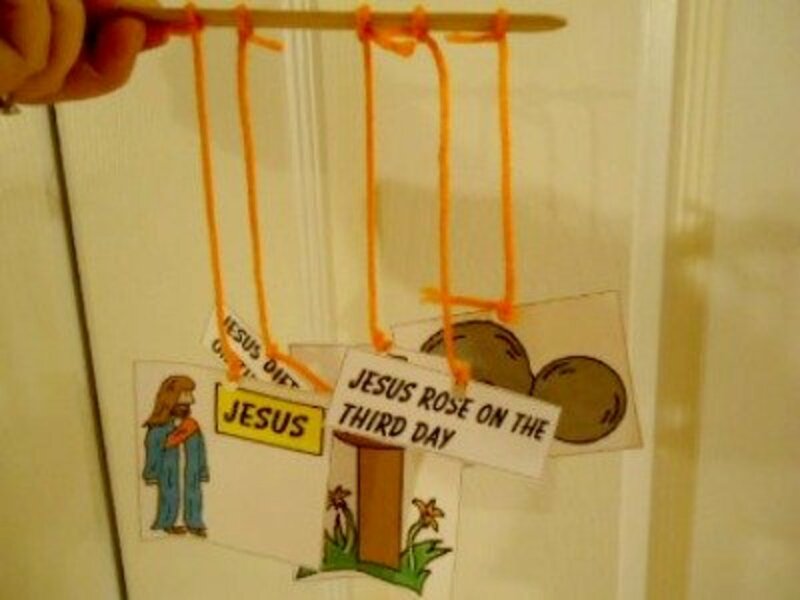 A perfect lenten project for little kids. Go to A Thrifter in Disguise for instructions and printables. 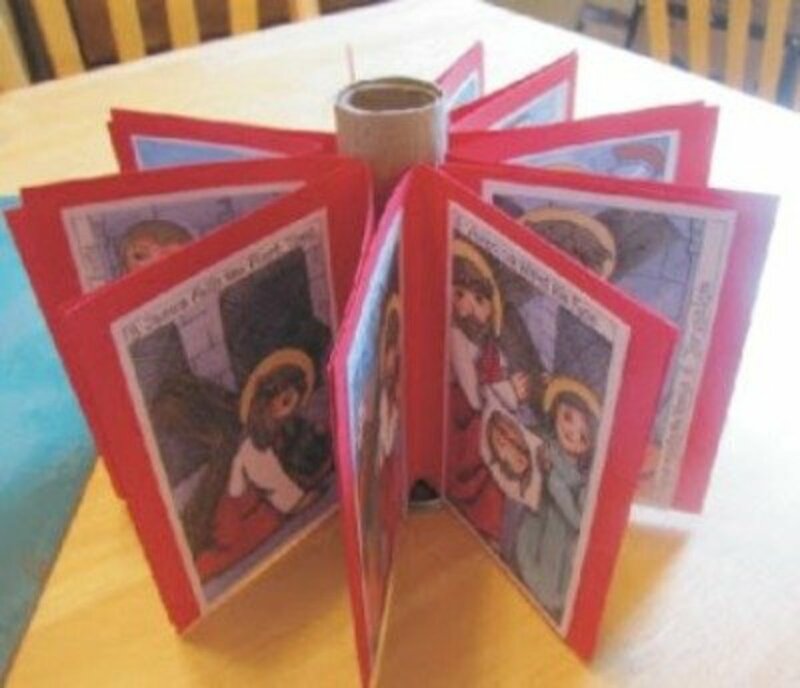 The prayers in this little booklet are the ones I remember as a little child. Make Lent a personal experience by making and using this booklet. Find the tutorial at Saint Anne's Helper. 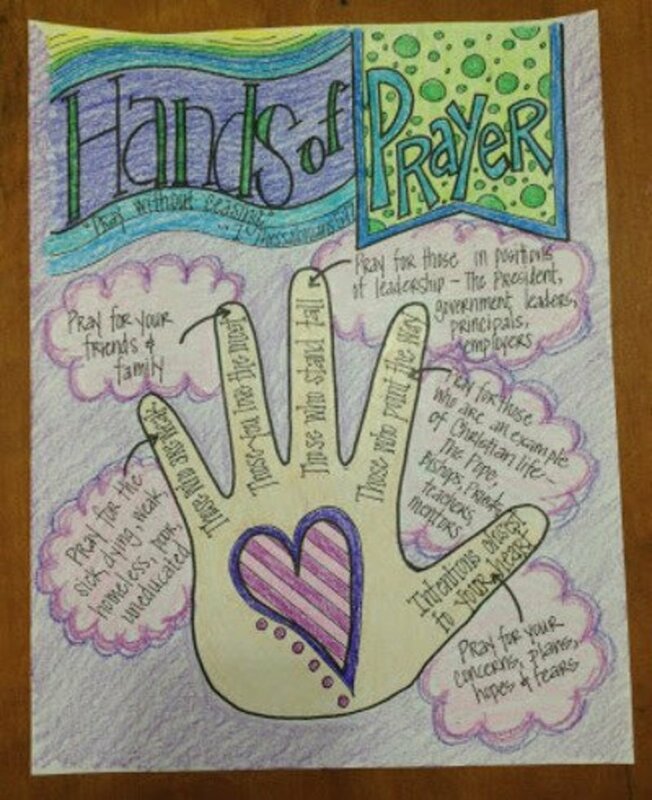 Draw around your child's hand to make this a special individual project. 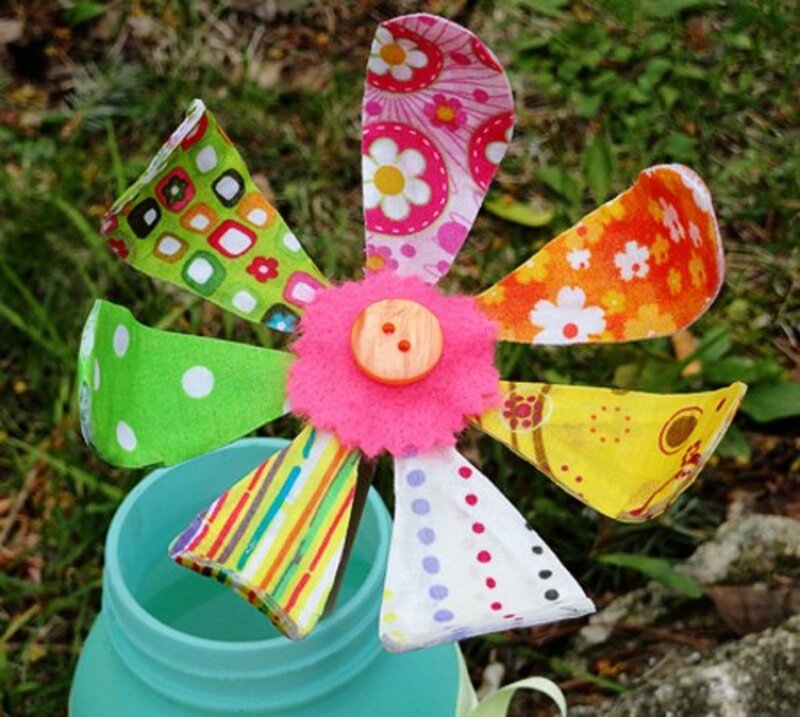 Find the directions for making this craft at Your Modern Family. Thank you so much for putting all this together. I am preparing a "Celebrating Lent in your Home" session at my parish and you have all I need in one place. THANKS!!! Wow, God bless you for all your work!! Thank you for the resource and great ideas. From Toronto! This is a fantastic collection of inspiring ideas for Lent and Easter. Thanks you! I'm honored to be included on this fabulous list. Great ideas, Loraine, since this is the lenten season. Very crafty and ingenious. 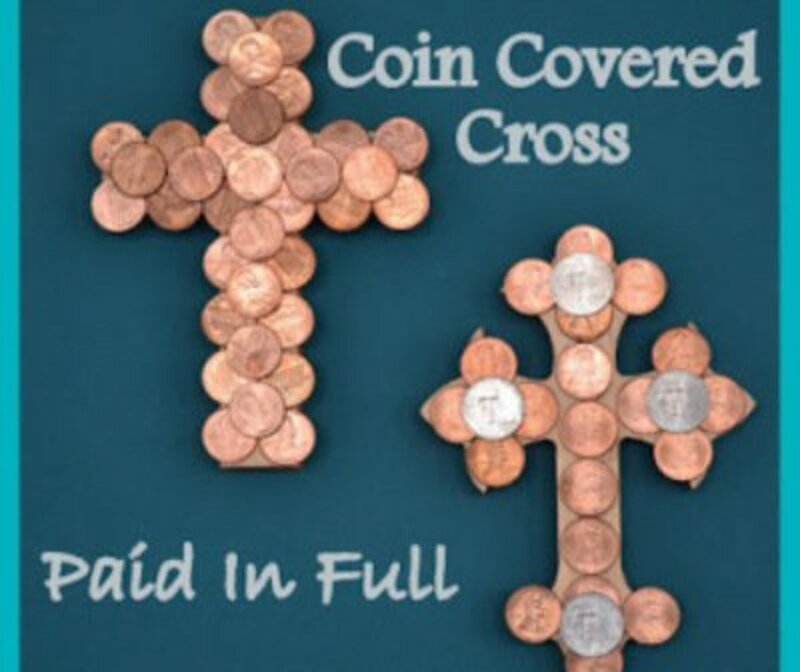 I love the coin cross ideas. Nice work! I'm browsing through and my mind is on Lent. And here it is your hub, Lenten Arts & Crafts. I found this hub very useful. Thank you! 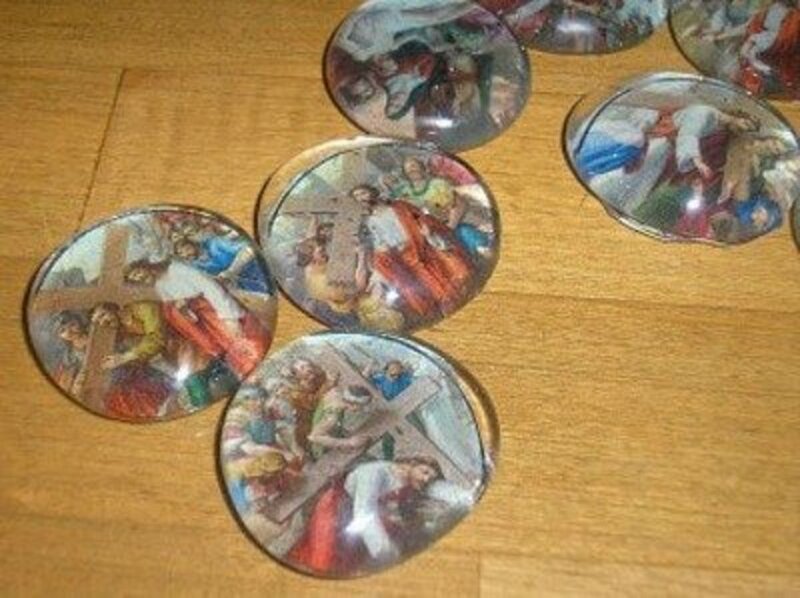 I like it that there are so many different Lenten projects, especially for classroom and home school classes. Thanks for your comment, jill of alltrades. These are cool ideas! Thanks for sharing! Thanks for your comment, BAMwer. I'm happy to hear that you've found some ideas for your Sunday School class. I'll be visiting your articles shortly. Paperimages, I'm so sorry to hear that your transfers from Squidoo didn't work. That has to be so frustrating, to lose all the work that you had done. You are welcome. I, was on Squido, however I, was not able to make any transfers and all was lost. I, contacted them, but they could not help. Hi Paperimages! I see you are new to HubPages. Looking forward to reading your hubs. You'll like it here. Good luck. 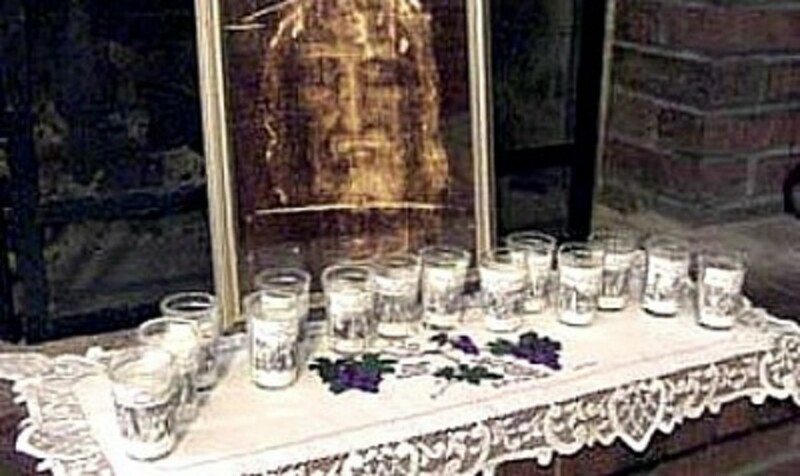 Thanks for visiting my Lenten crafts. Very lovely. 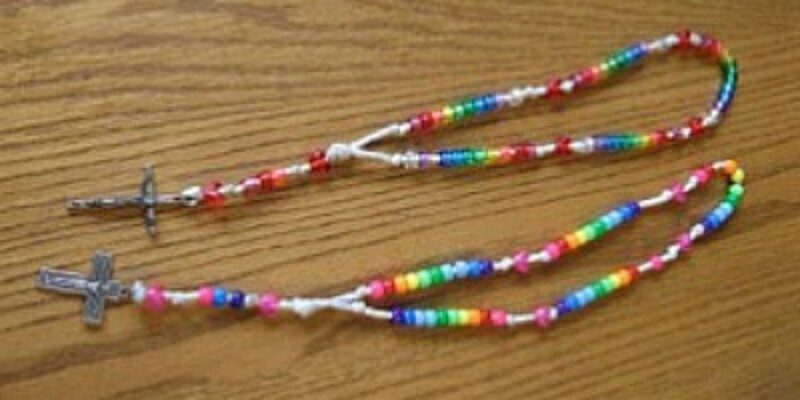 I, love arts and crafts and have an artfire.com and etsy site, which I sell on. Great ideas! 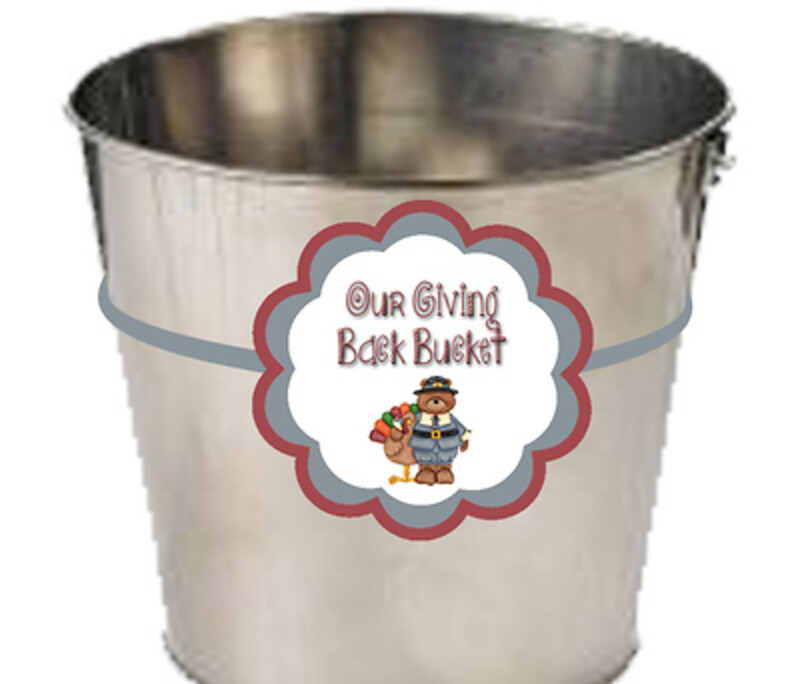 Thank you so much for including my thank you bucket! You definitely gave me an idea for next year to modify it. These are very cool and creative! I'm sure kids will love and more than a few adults might think they were awesome too. Great lens for the Lenten season! Hope more Christians read this! This is a wonderful addition to the Catholic niche, Ibrummer! Thanks for sharing and have a blessed week. 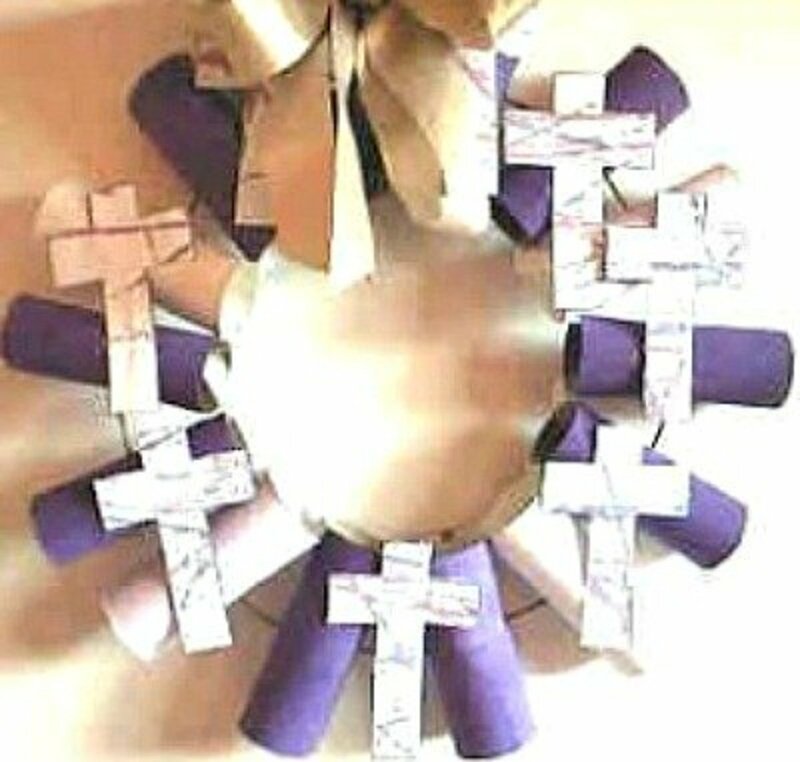 A few years ago I participated in a Lenten Bible study where we used a book about making crosses with recycled stuff. Yes, I wrote a page here on Squidoo! LOVED YOUR IDEAS FOR LENT GRACIAS! This stuff inspired to do my own Lenten symbol as well! We do have our own creative idea and with no doubt they are all great! Great lens, I look forward to trying some of your crafts. Thank you. What an original idea for a lens! Lenten and Easter blessings to you. Wonderful. Lenten is one of my favorite times of year, and a time when I make a point of creating smething hand made. 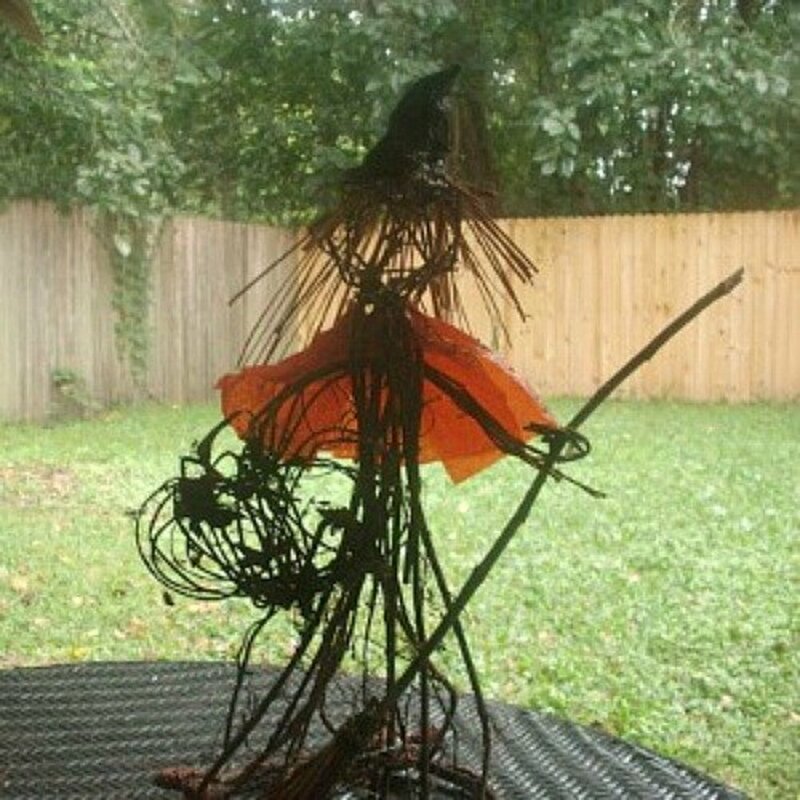 Thank you for sharing your craft links and information here. Very, very nice. I love it. The clothes-pin cross is wonderful. I should do some of these with my children. This is a great topic for you to cover as I don't think we hear too much about Lenten projects or crafts.